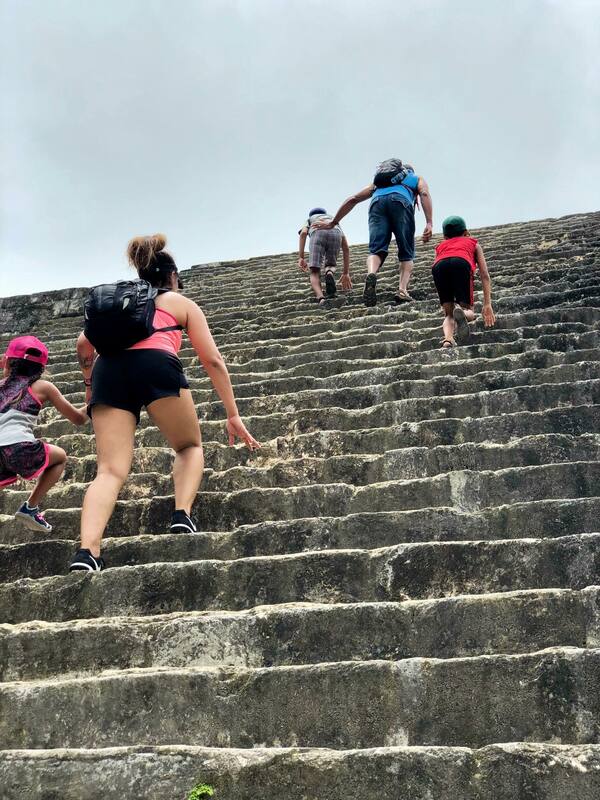 Our journey into Guatemala to visit the Mayan ruins in Tikal National Park was one of our most epic family excursions. We were picked up at our hotel in San Ignacio around 7:30am and proceeded to the border, where our guide helped arrange the necessary visas for us to enter Guatemala. After crossing the border, we drove about two hours (a relaxing, scenic drive) to reach Tikal. 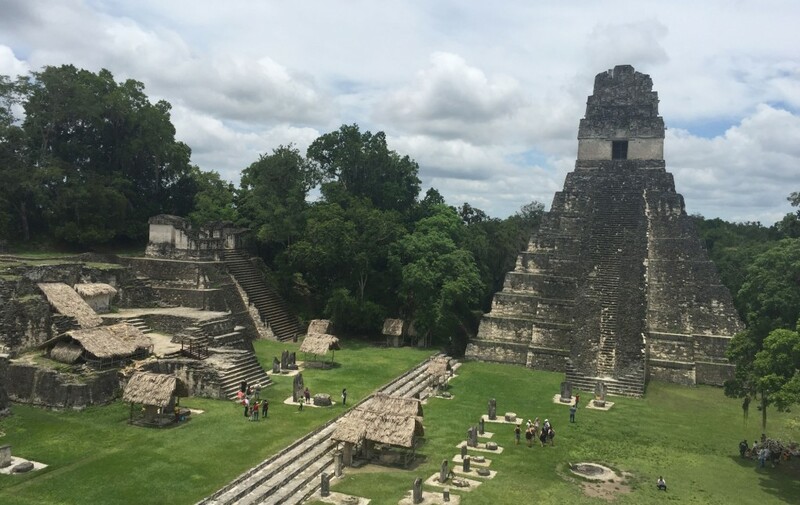 Tikal, “one of the most important archaeological complexes left by the Maya civilization,” is a partially excavated site located deep in the Maya forest. City construction began 7 centuries BC, was abandoned around 900 AD, and was not discovered until 1856. It was an amazing experience to tour these ruins and imagine what life must have been like back then. Also a trip to ponder how this massive city was even built — it’s not like they had cranes and bulldozers back then. Again, having a guide was handy, as he was able to explain the history behind what we were looking at, and the significance of various structures. The site is well-maintained, and efforts have been made to make the park as safe as possible. Some of the climbing could be considered a bit dangerous, and I’ll admit I had some anxious moments, but if you go slow and heed the warning signs, you should be fine. 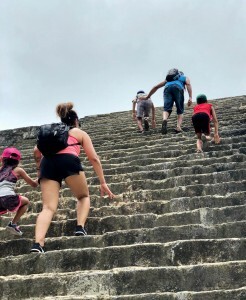 Something to note: It’ll be hard to get the full Tikal experience if you have mobility issues. We hiked over three miles over the course of the day, in heat and humidity, and did a LOT of climbing. You can climb several of the temples, and if you have the endurance to reach the top, you’re rewarded with some pretty spectacular views. Exhausting, but worth it. You can’t really appreciate the vastness of the city until you see it from the highest point in town…. After spending several hours in the park (and burning some serious calories), we had a yummy lunch at a local spot (which was included in our tour), and headed back to San Ignacio. We were back at the hotel by 5pm — a perfect day. All in all, I give this excursion five enthusiastic stars. If you find yourself in Belize, definitely try to carve out a day to visit Tikal.